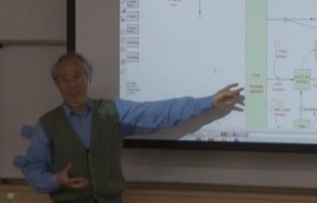 I have been working on the draft of Money and Macroeconomic Dynamics, and its system dynamics models since 2003. Latest Edition 4.0 (draft, 596pages) is completed on January 26, 2019. 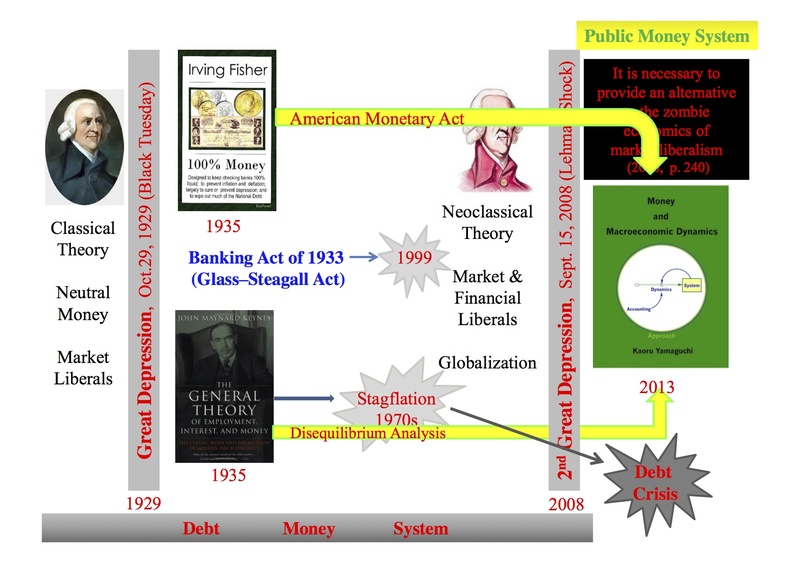 The book describes macroeconomic system design (caled public money system) in Part IV for sustainable futures in place of the current debt money systems of macroeconomy in Part II and III. Specifically public money system is proposed to be the solution for the on-going financial and national debt crises that cannot be overcome by the existing macroeconomic policies. Part V proposes Electronic Public Money (EPM) as money of the futrues in the age of blockchain revolution. Yet, its text and diagrams are still freely downloaded for the convenience of readers. All SD Macroeconomic Models are attached to the book in CD. This book, as a synthesis of the books by Fisher and Keynes in 1935, will revolutionize the way we analyze macroeconomic behaviors, and give us a hope for building an alternative economic system which will be free from the current financial and debt crises. Irving Fisher. 100% Money, The City Printing Company, New Haven, 1935. John M. Keynes. The General Theory of Employment, Interest and Money, Preface, December 13, 1935. 1. Robust and comprehensive analytical method of the Accounting System Dynamics is applied for the first time in macroeconomic analysis. - Accounting System: robust double-entry booking foundation of social science. 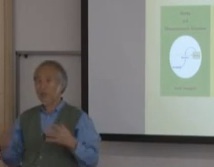 - System Dynamics: dynamic foundation of differential equations in natural science. 2. Money always sits in the center of the macroeconomic analysis, allowing an inquiry into dynamic macroeconomic behaviors that have been unattainable under a traditional approach of money as an incidental addition to the economy. 3. 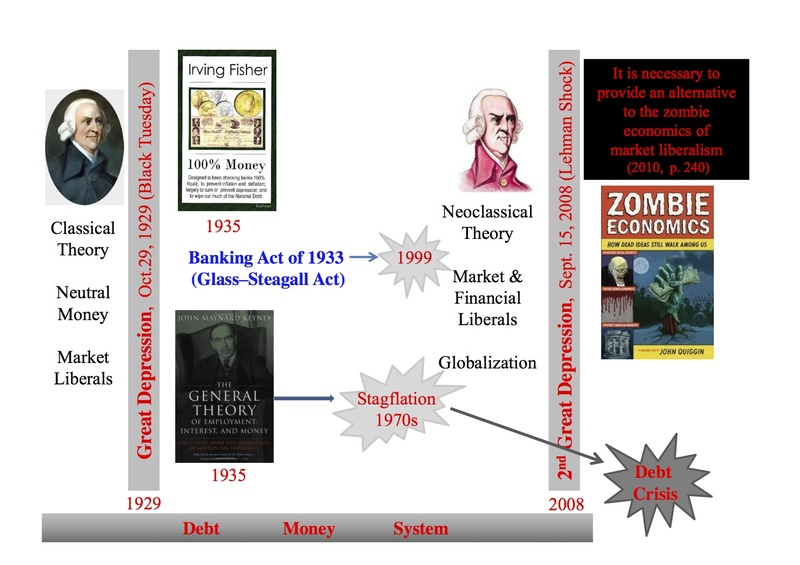 Current macroeconomic system is identified as a debt money system whose structure causes not only recessions and unemployment, but also financial and debt crises. To avoid these economic instabilities and disasters, an alternative system is proposed as a public money system, and comparative analyses of these two systems are conducted. 4. All analyses are based on the simulations of the system dynamics models included in the attached CD, so that readers can confirm them easily by running simulations by themselves. In addition they can perform their own scenario analyses on the basis of their own economic interests and economic hypotheses. 5. All models are built with standard frameworks found in macroeconomic textbooks, so that they can be easily expanded to the readers' behavioral sophistications as well as their case studies of real economies.